Listening is an important daily activity and its a skill that we build over time. It´s an integral part of how fast we can understand and experience our world. 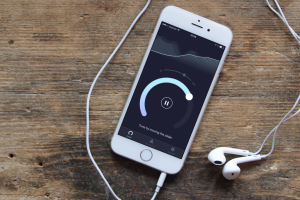 Read on to learn some useful tips on how to be a great listener in your daily hearing challenges with the help of your iPhone. However, the challenge of listening is not always about paying attention and engage actively in conversations. Sometimes, it comes down to your hearing abilities and the sound environment you are in. Noisy chatter at the cafe can make even the simple speech difficult to understand and you might find yourself asking others to repeat themselves. Even a mild hearing loss can make softer sounds nearly impossible to hear. Hearing can be challenging in many situations and one can miss out on lot of vital information and special moments. Following are some of the important hearing challenges and surroundings that Mobile Ears can help to overcome in our daily life. Coffee and other beverages can spark plenty of conversations but often it´s very noisy in such social gatherings. The background noise makes hearing the person even next to you very difficult. Instead of shouting at the top of the voice, plug-in Mobile Ears app during conversations and social gatherings. The app can help with background noise reduction and amplifies the speech with the help of directional microphone in the iPhone. Classroom´s acoustics profile can play a major role in how good students can follow the lecture and how clear they hear. If you are sitting far away from the source of sound or the speaker during conference or a business meeting, you might miss out on some important details. Mobile Ears can help amplify the speech in such cases. Specially if a person has mild to moderate hearing loss. One can control and customize the delicate balance between sound clarity and amplification by moving the slider on the home page. We all love watching TV at maximum volume and making our neighbours hate us even more than they already do. Because of this, many of us suffer from hearing loss. It’s just something everyone goes through, chill, we don’t blame the TV for it. Now you can enjoy the same enhanced sound without turning the volume too high. Instead, turn-up the slider on Mobile Ears to hear clear action on TV or radio. Exploring nature and wildlife is popular among many outdoor enthusiasts like me. However, at times we can´t catch a distant chirping of a bird or other soft sounds. If hunting is your favourite sports, its important you can hear even the faintest rustling of leaves while tracking down a game. People who Hunt or shoot at the range tend to have what they call high-frequency permanent hearing loss, which means that they may have trouble hearing speech sounds like “s,” “th,” or “v” and other high-pitched sounds. Using Mobile Ears while on such outdoor adventures can help you amplify these soft sounds and helps you hear birds or animal sounds clearly. Since the app doesnt require you to carry any additional devices or batteries other than your iPhone, you can pack light for your hike. So go on and live an active life without any hearing challenges.